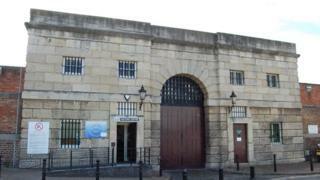 Tours of a former Victorian prison are to come to an end, as plans to turn the jail into flats move forward. Jailhouse Tours has run guided trips around 224-year-old Gloucester Prison since May last year. However, a spokesman said "operational costs" and plans for the prison mean the tours will stop in October. The site has been leased from its owner City and Country Group, which plans to turn it into 200 apartments. Work is expected to begin in 2020. A Jailhouse Tours spokesman said: "Unfortunately, the nature of running historic buildings comes at great operational cost, and Gloucester prison while steeped in history is a very expensive building to operate. "This, coupled with future plans for development, means the time has now come to close the doors for the second time in the prison's 224-year history." The last tour will take place on 14 October.